Welcome to Pacific Golf Club. 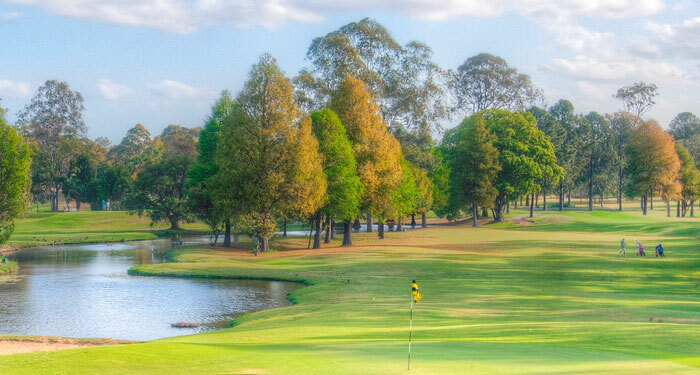 Pacific Golf Club is one of Brisbane’s premier golf clubs, nestled in the foothills of Carindale, only 15 minutes from the Brisbane CBD and the Brisbane Airport. The club offers a beautiful natural setting and a peaceful escape from the rush of the outside world, thus providing an ideal setting to unwind and play a relaxing game of golf on either the main 18 hole course or the 9 hole Par 3 course. Pacific Golf Course, a Par 72 championship course, is a commanding test of golf for players of all levels. The strength of the course lies in its magnificent tree lined fairways and strategically placed water course. The Bulimba Creek and its tributaries meander through the course providing a challenging feature amongst the serenity of a parkland style golf course. Pacific Golf Club offers a mix of competition and social play throughout the week on the main 18 hole course and social play for beginners or friends on the 9 hole Par 3 course. The Golf Shop staff are award winning PGA. Professionals and stock a complete range of golfing attire and equipment for all your golfing needs. For all golf bookings phone the Golf Shop or book online for the 18 hole main course.